TFA Camp Registration is done via the registration link on the Registration Tab. You can register for the Season, TFA Camps or Both options via this link. If you wish to register for the Trickey-Wright Camp please see the bottom of the page for the registration link. Trickey-Wright Camp is for grades 7 - 12. This camp offers a great opportunity to learn important fundamentals of football in an organized and fun atmosphere. The Minnetonka High School Coaching Staff, along with former Skippers (now playing college football) and current players, will teach football fundamentals including tackling, blocking, passing, catching, and ball security. Each night of camp will conclude with fun, competitive games that incorporate these skills. EQUIPMENT NEEDED 4th-6th GRADE: Helmet, shoulder pads, mouth guard, cleats, shorts & practice jersey. 2nd and 3rd GRADE: mouth guard, cleats, shorts and t-shirt. The High School Prep Camp focuses on teaching fundamentals along with the Offensive and Defensive schemes that are run at the high school level. Every player will work at an offensive and defensive position. This camp provides a great foundation for our 7th and 8th graders as they prepare for their upcoming season in 11-man football. Players in the Summer Passing League will help develop the offensive and defensive skills and fundamentals associated with the passing game. This camp will also allow players to compete in a 7 on 7 Tournament. This is the second year for the Wideout Academy offered by the High School Coaching Staff for 5th-8th graders. The Wideout Academy is for players that just want to be around the football... learning the techniques and skills to run a pass play, how to move, position oneself, hand position, etc. This camp will run concurrently with the Top Gun Program and is a great opportunity for anyone. The camp will be held on the following Wednesdays: June 26th, July 10th, July 17th and July 24th. The program runs from 10:30am - Noon. Athletes should wear workout clothes and have football shoes. Footballs will be provided. The fee for the Wideout Academy is $75. Please direct any questions to Jason Opsal at jason.opsal@minnetonkaschools.org. GO M.A.D. .....Make A Difference. The mission of the Tonka Performance Program is to capture the hearts and minds of our students through a rigorous and regimented physical preparation program. Tonka Performance will provide each student with an innovative, year - round athletic development program focused on improving speed, strength, power, agility, mobility, and endurance. This program is designed for the developing, competitive athlete. The focus will be on strength training fundamentals including: powerlifting movements, plyometics, acceleration, deceleration, speed, agility, and energy system efficiency. All activities are age/skill appropriate, professionally designed, and constructed with athletic performance and injury resilience in mind. Go to www.jefftrickeyqbcamps.com to register. Minnetonka QB’s pay $125 for the QB Technique & Leadership Camps – use this discount code when registering online - HOST125 ($125 camp fee for 2-Day camp). Athletes are grouped according to age & ability level to ensure the proper level of instruction. This Developmental Camp is a teaching camp focused on building the physical, mental & leadership skills necessary to play the quarterback & receiver positions. Each athlete receives a quality, high-energy two-day experience of intense one-to-one instruction. We build from the ground up, beginning by installing the base knowledge & fundamentals vital to success. We then progressively expand on a platform of concepts & systematically refine your skills. By the end of camp you will look and feel like a new player. You will be technically sound, mentally prepared & carry yourself with confidence. WHERE: Minnetonka High School - Veterans or Stadium Field. We love football and want to give our players every opportunity to learn and play outside of our season. There are many opportunities for camps and other activities that we hear about over the course of the year. The details below will be our way of sharing these with you. These are non-TFA hosted camps and this section will simply be our way of sharing those opportunities. We certainly encourage summer participation in other sports and physical activities throughout the summer. University of St Thomas. This camp provides football instruction, t-shirt and a game day ticket to a St. Thomas Football Game. $125. Held on June 11th and 12th 9am to 4pm. Contact Coach Wallie Kuchinski at 651-962-5917 or kuchinski@stthomas.edu. $120 camp fee includes instruction, t-shirt, and lunch. $60 nonrefundable deposit required with registration (deducted from camp fee). 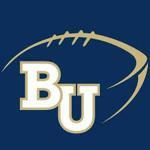 Bethel University coaching staff along with current and former Bethel University football players. This is a position specific camp with former NFL players and coaches giving instruction. Helmet and shoulder pads are required for some activities. FBU hold camps across the nation. Go to: www.footballcamps.com or call 301-575-9400 if interested. This is position specific camp with former and current NFL players and coaches giving instruction. Helmet and shoulder pads are required for some activities. June 28th to July 1st. Held at St. Thomas University. This day camp runs June 11-13th from 9am to noon and focuses on football fundamentals. Fee is $90. 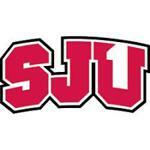 Camp is instructed by St Johns University Coaching staff and former players.